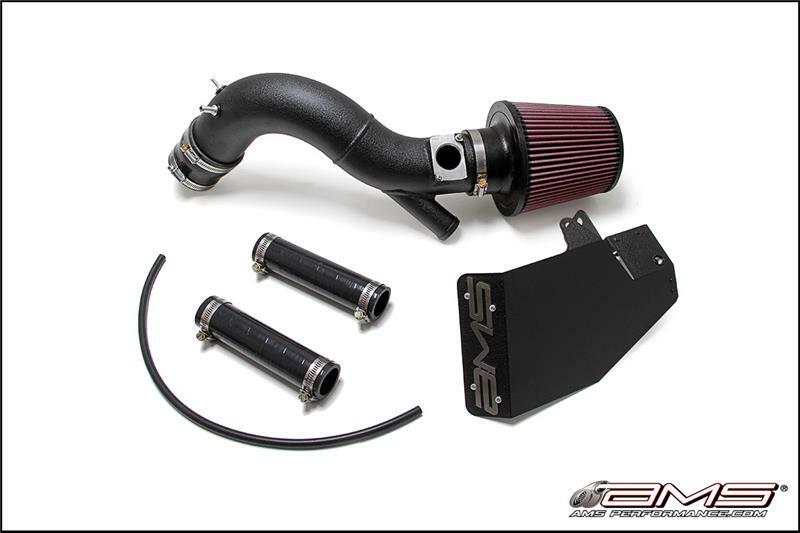 AMS Performance Intake - Turbo Kit Add-On - Dezod Motorsports Inc - Home of the automotive performance enthusiast since 2002. AMS Turbo Kits posses the most advanced and reliable parts on the market. Loaded with the latest turbo technology, these race-proven package not only produces unmatched power and spool, but is also designed to withstand the abuse of professional Motorsports with 2 National Championships to prove it! So how is it even possible to improve on these? Well, add a custom Short Ram or Cold Air Intake of course! Our high performance turbochargers require more air, so AMS has developed a line of Turbo Kit specific Intakes to match your exact needs.